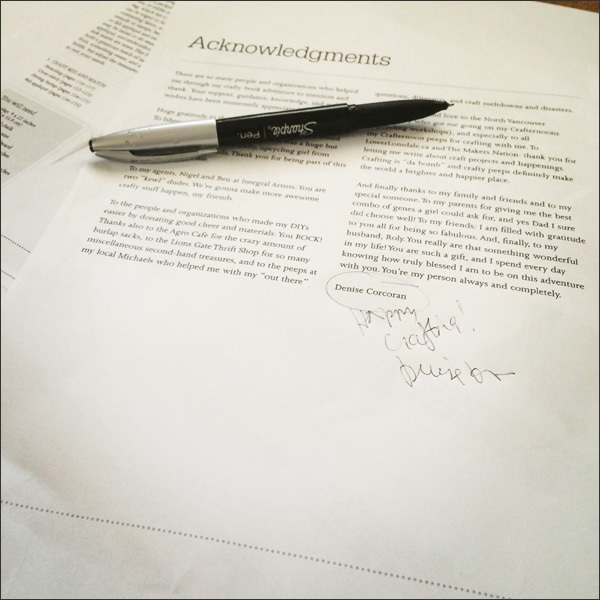 Thrifty By Design: The crafty book is nearly done! And I am so thankful to everyone who was involved in the process - friends, family, my dear husband and my team at the publishers. They were unbelievably awesome. And all of the organizations and local peeps who helped me track down supplies. Plus talk me down from my craft meltdowns. I'm one lucky girl! Stay tuned for news about when the book is out, where to get it and most importantly when and where the big par-tee is to celebrate my first book. Will keep you posted!